The Glace band was inspired by the curling pattern of the reverse shell cake decorating design. The delicate addition of gemstones adds a touch of sparkle. 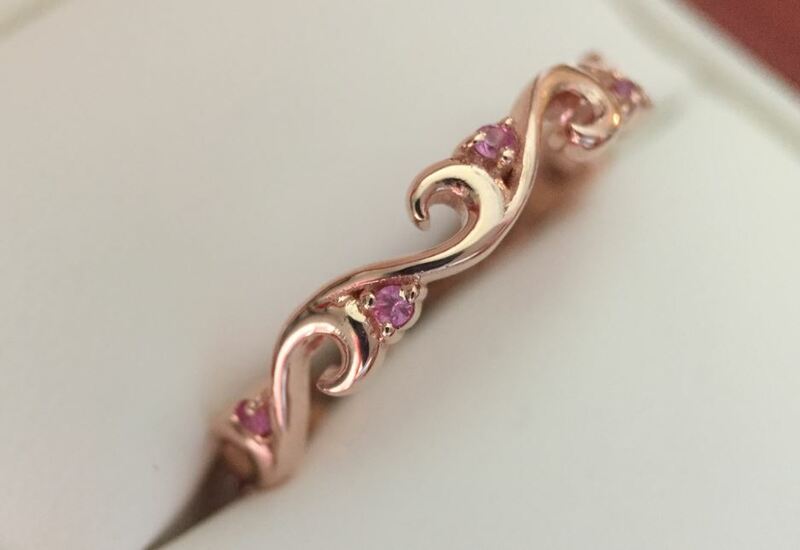 Shown in 14kt rose gold with bright pink sapphires. The Glace band is available by special order. Please contact us with inquiries. 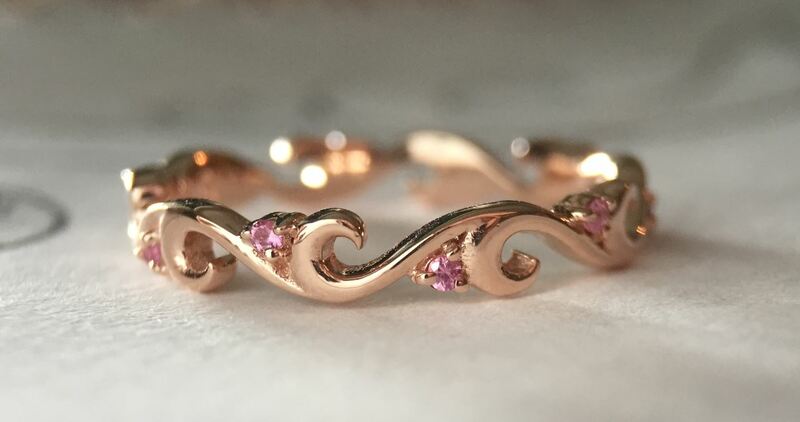 Starting at $400 in 14kt gold with sapphires.